Well, it’s the beginning of the holiday season - when we enjoy the company of family and also gain seven pounds before the start of the New Year. But while visiting with parents, children, grandchildren or all three, it can be difficult navigating around and through past hurts and slights that are brought to family gatherings along with gifts and holiday treats. But I found this advice that might help avoid the traps and difficulties often encountered at family gatherings. It is from the website Next Avenue (http://www.nextavenue.org/), a service of several PBS stations that offers advice on health and well-being, living and learning, work and finances and caregiving. First, bury the hatchet (and although tempted - not in someone’s back!). You may not forget past wrongs, but try to maintain a spirit of forgiveness. Third, simplify and reduce stress. Don’t be totally worn out when guests arrive. Determine ahead of time what is essential and what is not. And skip what is not. Fourth, sneak in a few breaks to relax before, during and after the gathering. Fifth, reinvent your traditions. Find a new location for the gathering. Or go as a family to help volunteer for a community event. Think outside the turkey roll. Sixth, rethink your gift giving. Donate on behalf of your loved one to a non-profit. Or give “experience” gifts: tickets to the theater or a gift card to a restaurant they would not normally visit. Families are our support system in times of trouble; our connections to the past and future. And when families are so scattered and often disconnected, the time together is a special time to be enjoyed and savored. The 11:00 Tuesday Lecture at the Center on December 3rd will be “Creative Aging: Using the Creative Arts to enhance your health and well-being”. Debra Jones who has offered the popular Creative Arts program at the Center will share her perspectives on the value of the creative arts. 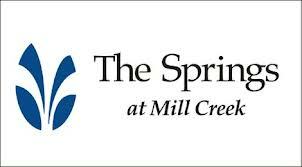 You have had a chance to buy raffle tickets for the quilt hanging in the Center’s lobby since July, but time is running out with the drawing on December 21st during the Center’s annual Christmas Breakfast sponsored by The Springs at Mill Creek. You can purchase raffle tickets at the Center - one for a $1.00, seven for $5.00, or I’ll make you a deal. How about eighty for $50? You can find a picture of the quilt on the Center’s website at midcolumbiaseniorcenter.com. Okay it wasn’t easy to read last week’s music announcement - maybe the vowels are as important as they think. So I will bring back last week’s missing vowels and include them in this week’s music announcement. That should make it easier, right? Ono Tueesdaya Deoecemeber 3rd, Tohe Storawobeirery Mioeunatiain Boanod uwill bie peaiying faor yoiur lisateyning auned deaonacinig enijoyomenot. Deooros oopen aot 6:00 aond aot 7:00 tehe mausuic sitarats faleying tehorougih tehe aoir leike lieaves uon ai buluseteroy daoy. Dionaotions arae apapreceiated aond everiyone and teheir beust fariend aere welecome. This week’s “Remember When” question was suggested by Alex Currie. Who was the silent movie star of westerns, the “King of Cowboys" when Ronald Reagan and John Wayne were mere children, and made over 291 films during his career? And for bonus points, what was the name of his horse that was even given costar billing in several movies? E-mail your question to mcseniorcenter@gmail.com, call 541-296-4788 or drive you answer to the Center in a 1937 Cord 812 Phaeton. No, I just wish I had a little of the youthful self-confidence: the “I know everything and can do anything” attitude that I once possessed. Because if there was a problem or mistake, I knew it was them. It was them that didn’t understand, or hear the question. I wasn’t me! Now too often I wonder - Is it me? Did I hear that right? Did I miss something? Did I really buy that $249 printer listed on the credit card statement? Because I haven’t seen it and I really didn’t need one? But did I? Could I be mistaken? It must be me! But it isn’t. Well, not most of the time. I find it easy to magnify the hurried oversights, the inadvertent mistakes to start questioning my own abilities. And then I start playing it safe. But I know there is so much more to experience. And whether at 65 or 75 or 85 I can still have dreams, discover new interests and still believe that the best is yet to come. I just have to take the time to get off my rear end and look for it. At the urging of several folks who went to see the Singing Christmas Tree last year and wanted to go again, I have arranged another trip to see the Singing Christmas Tree in Portland on Sunday December 1st for the 2:00 matinee performance. But I am a little late on the draw, so you have less than two weeks to hop on board. The cost is $55 including transportation provided by the friendly folks at Sherman County Community Transit. The bus will leave the Senior Center in The Dalles at 11:30. You don’t have to be a Center member or even live in Wasco County – there are five folks from Hood River who are going to be picked up on the way. But you do need to call the Center now at 541-296-4788 to reserve your seat. And two more quick announcements. November’s Passport to Happiness event, on Wednesday the 20th from 3:00 – 4:30 at the Center, will focus on Mental Health. (And save a place on your wall for the 2014 Passport to Happiness Calendar. It will be out next month.) And at next Tuesday’s 11:00 Lecture at the Center, Joyce Powell-Morin from MCMC has lined up a speaker to discuss the benefits associated with the “Healing Power of Gratitude and Optimism”. Because you can’t have words without syllables; and syllables without vowels, vowels are known to be rather arrogant - believing they belong at the top of the alphabetic food chain. But just to show them they are not indispensable, this week’s music announcement for the Center has the vowels stripped away and placed in exile until next week. n Tsdy, Nvmbr 26th “Fr th Gd Tms” wll b plyng fr yr lstnng nd dncng plsre. Sggstd dntn s $2.00 fr n nd $2.00 fr tw. Drs pn t6:00; msc strts t 7:00 nd vrybdy s wlcm ncldng trkys lkng for a plce t hd. Thanks for the several ideas for the “Reminder When” question including one from Bill Van Nice (the winner of a free Saturday Breakfast on December 21st) who suggested I include questions about local events such as this one. In 1870 Inwer Nicholson opened a bookstore in The Dalles across the street from where it is currently located - now known as Klindt’s Booksellers. 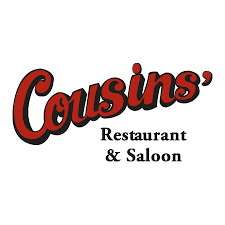 What was the name of the family who bought the bookstore from Inwer in 1927 and sold it to Phillip and Linda Klindt in 1981?” And for bonus points, what was the first name of the sister in the family who continued working at the store until she was 91? E-mail your question to mcseniorcenter@gmail.com, call 541-296-4788 or mail it with a copy of the book Win-Quatt; A Brief History of The Dalles, Oregon. Well, it has been another week trying to follow my mother’s advice “Stop shuffling and PICK UP YOUR FEET!” Until we meet again, keep the porch lights on and the fire burning warm. After retiring, many folks spend their extra time volunteering - which provides the flexibility to travel and engage in other personal pursuits, while making meaningful contributions such as mentoring young children, serving on church councils or delivering Meals-on-Wheels. The unselfish work of volunteers is the backbone of strong, healthy communities. You can find a list of over fifty different volunteer opportunities at the Center’s website: midcolumbiaseniorcenter.com. And there is probably at least one that fits your interests and skills. But if you ever start singing the old age blues, there is nothing better to help change that tune than by making a difference volunteering. The Center and Meals-on-Wheels are currently looking for volunteers for the Thursday and Saturday Night Bingo – specifically bingo callers, cashiers and concession workers. The time commitment is between two and five hours for only one night a month. If you are interested you can call the Center at 541-296-4788 or MOW at 541-298-8333. The Center’s next Tuesday lecture will be presented by Rashed Al-Qarra, an AFS Student from Jordan, who he is attending Dufur High School. AFS-USA is a non-profit organization that has been a leader in intercultural learning and international exchange programs for over 65 years. As part their learning experience, AFS students are encouraged to share their culture and customs with their new community. If you want to learn more about Jordan and the Middle East, Rashed’s presentation starts at 11:00 on November 19th. And if you are interested in experiencing different cultures, here’s one more volunteer opportunity. Rymmel Lovell, The Dalles AFS Chapter Chair, is always looking for host families or liaisons for the exchange students. You can contact her at 541-296-6546 or tlovell@netcnct.net. Friday, November 15th from 7:00 – 9:00, there will be a Veterans Concert and Dance at the Center. The entertainment will be provided by Nehemiah Brown - a popular Pacific NW vocalist in the style of Nat King Cole, Ray Charles and Tony Bennett. Nehemiah is himself a veteran and during the evening he will include a military anthems medley. The musical evening is sponsored cooperatively by Flagstone Senior Living, Cherry Heights Retirement Community and The Springs at Mill Creek. Admission is $3,00 and all proceeds benefit the Center. 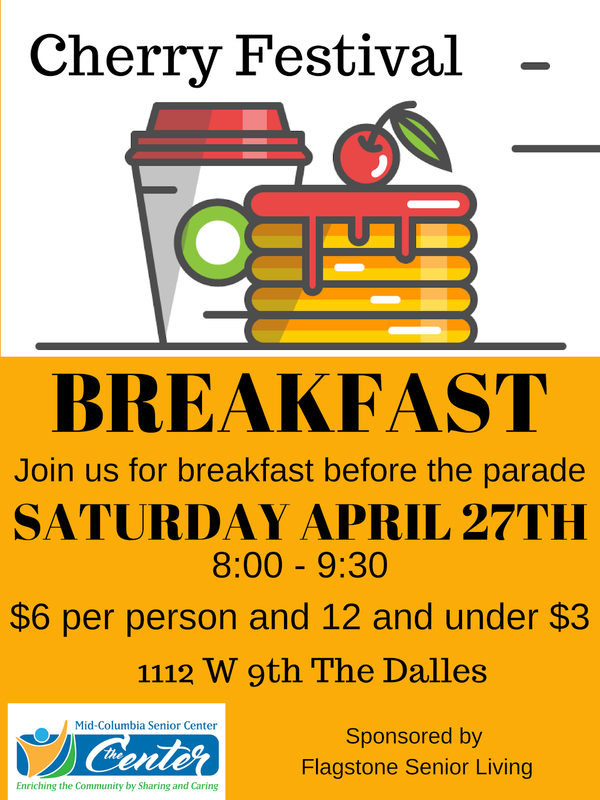 Saturday Breakfast is just down the hall and around the corner on the 16th from 8:00 – 9:30 am. The menu will include Texas French Toast, sausage, scrambled eggs and fruit as well as your favorite morning beverage. Cost is $5.00 for the general public and $4.00 for members. So have you learned how to read backwards yet? Is it getting any easier? Or do you still have to ask your wife to read it for you? No matter. Here is one more chance to read the Center’s music announcement - backwards. But the best questions are more than just trivia. They are about an event, a person or an object - from history to popular culture – that trigger long lost memories. E-mail your question to mcseniorcenter@gmail.com, call 541-296-4788 or mail it with the first episode of “This is Your Life” hosted by Ralph Edwards. Well, it has been another week trying to stay upright while putting my pants on - one leg at a time. Until we meet again, at some point in life the destination no longer matters - as long as you keep moving. Whether it is painting a sunset illuminating the Columbia Gorge, writing a poem expressing the indescribable joys of grandchildren, or creating a walking stick out of a hand carved handle attached to a discarded monopod, these are all creative acts: fashioning something unique and personal out of the ordinary. As part of the human race we are meant to create – evident by young children building forts out of discarded boxes or our prehistoric ancestors drawing on cave walls. It is who we are. But many of us have been told verbally and silently - we aren’t good enough. And we got the message. We lost interest in the creative arts and the creative process and spent our time pursuing careers, raising families and rooting for our favorite football teams – Go Ducks! But as older adults, we are finally able to free ourselves from those internalized constraints learned over so many years and start exploring new forms of self-expression and start enjoying the process that was once loss of stumbling toward new personal discoveries by trying, testing, and trying again. It can start today or next week, in the art class or the garage and whether you are 65 or 85. And just maybe, as an added bonus, while absorbed in these new creative pursuits, the aches and pains and daily challenges we all face, might just be forgotten - at least for a little while. A great place to start or continue your creative journey is the Open Arts Studio that will be held at the Center on Wednesday November 13th from 10:00 to 4:00 with a lunch break from noon to 1:00 - even starving artists have to eat. The Open Art Studio, organized by Debra Jones, is an opportunity to explore different art mediums such as watercolors, glass painting, card making, Christmas ornaments, stamped recipe cards, creative writing and much more – although I can’t think of anything else. Supplies are provided or you can bring your own stuff and join the fun. Everyone is welcome especially all you folks who don’t see yourselves as the “creative or artsy” types. And just to get you salivating between now and February, there will be a six week drawing class for budding artists in different mixed medias starting February 4th. The class will be led by Carla Sonheim and will include creative and fun exercises to discover and nurture your creative self. More information will be available after the coming holiday seasons. Just a reminder. You no longer have to wait for a Drug Take Back event to safely dispose of your unwanted medications. Inside the front entrance of The Dalles City Police station, there is a drop box for unwanted medications – thanks to the efforts of YOUTHTHINK, MCMC and the City of The Dalles Police Department. But they don’t accept everything. Don’t bring your thermometers, sharps, medical waste, combustibles or inhalers. Now that the spooks and goblins are off the streets, this week’s “Remember When” question returns to the category of famous comic strips. What was the name of the comic strip (published between 1913 and 1944) considered by many as one the best comic strips of all time and featured the slapstick antics between a carefree and simple-minded cat, the brick throwing Ignatz Mouse, and the "Limb of Law and Arm of Order" police dog, Offissa Bull Pupp? E-mail your answer to mcseniorcenter@gmail.com, call 541-296-4788 or mail it with one of the fifty animated cartoons based on the comic strip produced by King Features from 1962–1964. Well, it has been another week zigzagging from one distraction to another. Until we meet again, don’t turn the lights off until you fall asleep.